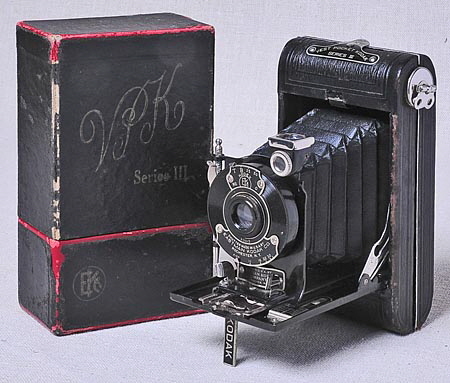 VPK Series 3 Kodak Folding Camera with f7.9 Kodar. 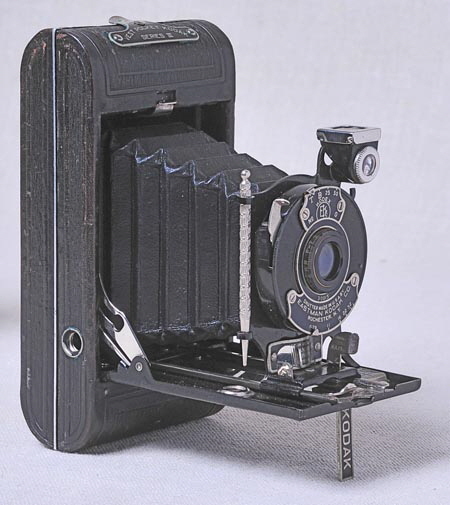 I used to have this camera on display in my small collection. 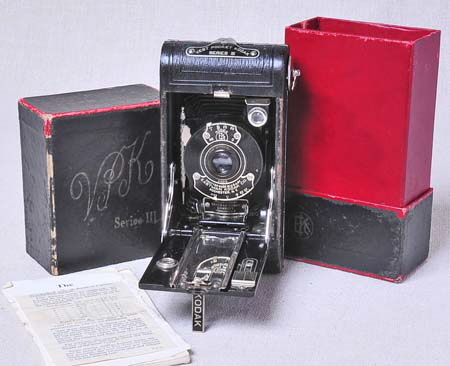 The Vest Pocket Kodak Series III camera was manufactured by the Eastman Kodak Company from 1926 to 1934. It took eight exposures, 1 5/8” x 2 1/2” on No. 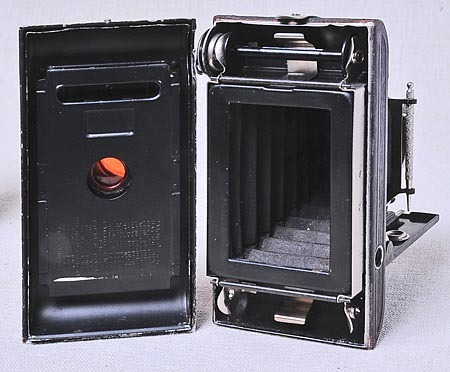 127 roll film and the camera, when folded, would easily fit into a pocket. 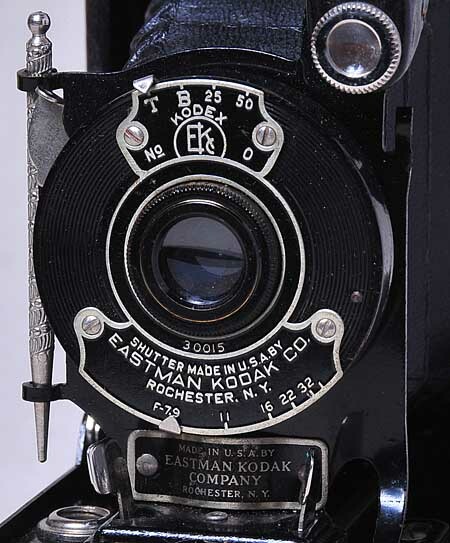 The lens is a Kodar f7.9 with a focusing adjustment. 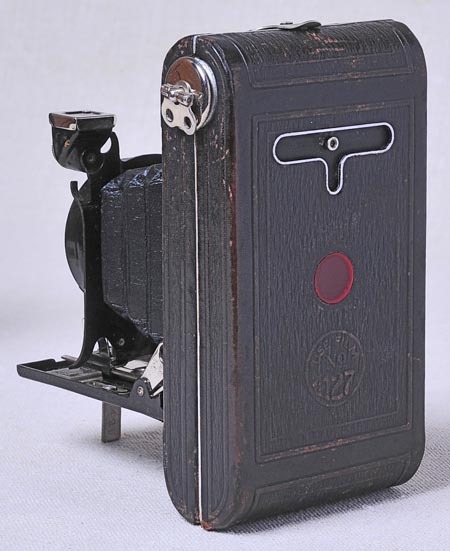 The shutter is a kodex shutter with T, B 1/25 and 1/50 second. It also has a reversible viewfinder and tripod sockets. It comes with original box, instruction book and stylus. I have lit the photos to give a clear view of the condition, which, compared to some examples, is on the whole, very good. I can’t vouch for the accuracy of the shutter. Serial No 13495.